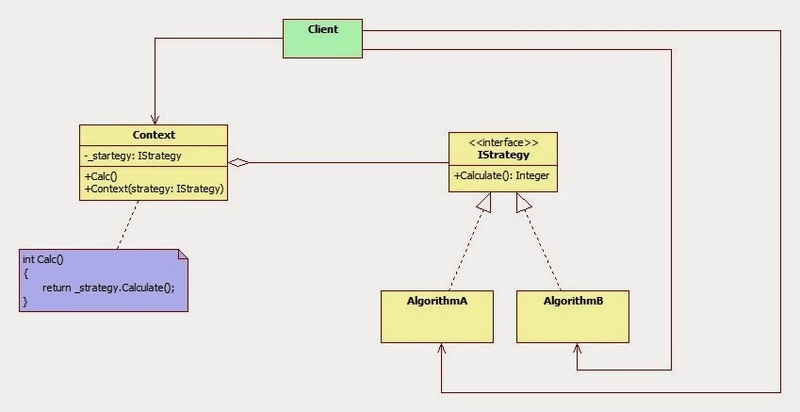 Class diagrams, from different points of view. Fig 2: Client should know only Context class because of client instantiate it. 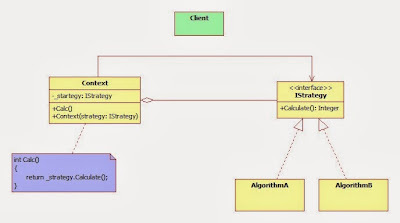 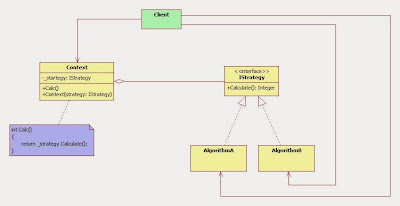 Client should know about all implemented algorithms, because of client instantiate context with specific algorithm. Fig 3: Inside of pattern implementation, only Context should know about IStrategy, because of Contexts instantiated with IStrategy interface.